Call USA From India for Free | Unlimited Calls to USA & Canada Free | Free Pc to Phone Calls, Free Voip Calls to India International ! Many people still ask me about making calls to USA from India for free. Well there are so many websites and voip providers which offers unlimited free calls to USA! So if you are using your telecom provider for making calls to USA, then you are losing a lot of money. Making calls to USA and Canada is free and its just at a click of a button. Have you heard about Earthcaller, the voip provider which offers Free International Calls From PC, directly from its website. Today we will be discussing about similar service which is offering unlimited free calls to USA from India! We are talking about Your Second Phone powered by Phono! 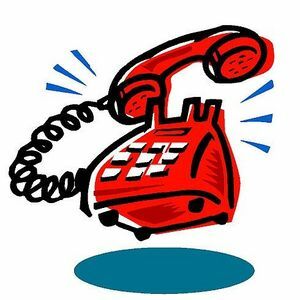 Its a browser based free calling service, all you need to do is just type in your destination number and dial the number. Your second phone is a project by Nick! Thanks to Nick for this service. Its basically a SIP based calling service. Enter the destination number : USA or Canada number. Do not add +1 country code to your phone numbers. Click the green dial button. So with YourSecondPhone you can dial any number in USA and Canada for free. You can even dial toll free numbers using this service. How about using this service to make free international calls : call ay country for free. Just use any call forwarding service, where in you dial a USA number and forward your calls to India or any other country. So, as you are calling USA and Canada number for free using this website, so indirectly your international calls are free as well. Yes can anyone let me know who gives free call forwarding facility..